This classic, dry Riesling offers generous aromas of citrus fruits and blossoms upfront. Rich flavors of grapefruit with floral undertones follow to give it a focused, crisp finish. Straw in color, this medium-bodied wine lingers attractively in the mouth. 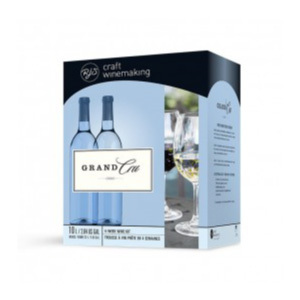 Each Grand Cru Winemaking Kit contains 10 liters of superior quality varietal grape juice and concentrate that, in as little as 4 weeks, will make 23 liters of your very own satisfying craft wine.